The tech industry is one of the brightest spots in the economy today. It’s where lots of jobs are being created and lots of money is being made. But there’s one notable area in which the tech sector lags in comparison to other well-performing industries: Philanthropy. The average salary of Silicon Valley tech professionals is $101,278. So it’s pretty embarrassing that as flush with cash as so many people here are, shortages at local charities mean that many needy families in the San Francisco Bay Area are likely to be without turkey this Thanksgiving. And in the top 10 corporations that gave the most cash to charity in 2012, there was not one tech company to be found. A new San Francisco-based organization called Omakase Charity wants to help change that, by creating a non-profit giving system that’s explicitly built to appeal to people in the tech industry. Omakase is named after the Japanese phrase for “leave it to you” that is often used in sushi restaurants to allow the chef to choose your meal for you. 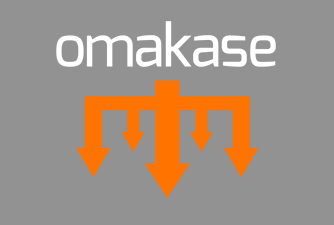 The Omakase Charity works the same way: You leave the selection of non-profits to experts, people whose full-time job it is to source the most well-run organizations targeting the most worthy causes. The only decision you make is whether to give $10, $25, or $50 per month. To make a tech startup comparison, you could say it’s like a Birchbox for charitable giving. Omakase’s founder Theresa Preston-Werner has spent her career in the non-profit sector, with a Ph.D. in cultural anthropology and years of experience studying global inequality and volunteering throughout the world, particularly in Central America. So when she moved to San Francisco and tried to encourage her friends and acquaintances in the tech industry (many of whom she encountered through her husband, GitHub co-founder and CEO Tom Preston-Werner) to participate in philanthropic causes, she found it incredibly frustrating and perplexing to be met with ambivalence. Why were all these people, who were smart and affluent and seemingly conscientious, not donating their money or time to causes that need help? By asking around the tech community, Preston-Werner says she discovered that it’s not that techies are stingy — but there are several barriers that keep them from charitable giving. For example, they want lots of data because they’re hyper-afraid of being scammed, but at the same time they’re overwhelmed by the number of non-profits out there. They want to donate money to causes, but they don’t want to be included on mailing lists or receive telethon calls for years to come. So Omakase has been structured to address those exact needs. I think it’s a fantastic idea that’s come at just the right time, as tensions about the gap between the tech elite and the less fortunate are increasing. As Omakase’s Holiday Giving packages say, it’s the perfect gift to give to the “techie in your life” — someone who already has all the gadgets, games, and hoodies any one person could possibly need. Hopefully, Omakase can be the tech industry’s gateway drug of sorts for generosity — people can start with $10 per month, and eventually become more philanthropic in larger ways. Theresa Preston-Werner came by TechCrunch’s headquarters recently to talk about what inspired her to create Omakase Charity, how it selects its non-profits, and much more. Watch that in the video embedded below.